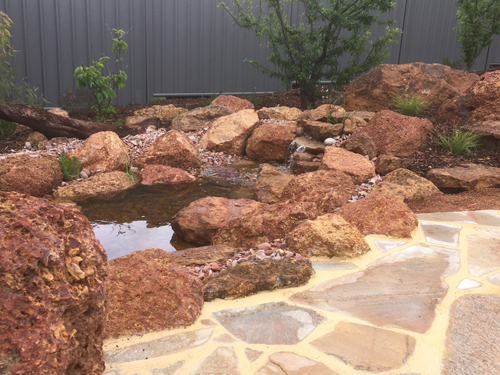 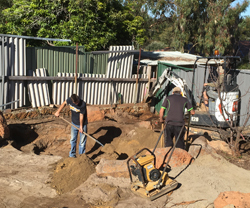 This ecosystem pond is part of a natural style backyard landscape in Lesmurdie in the Perth Hills. 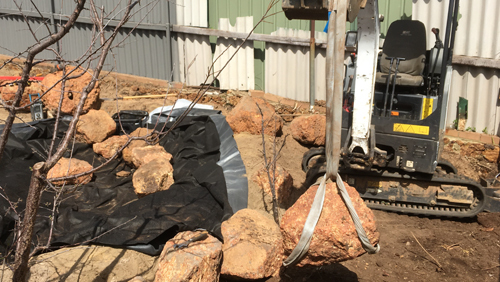 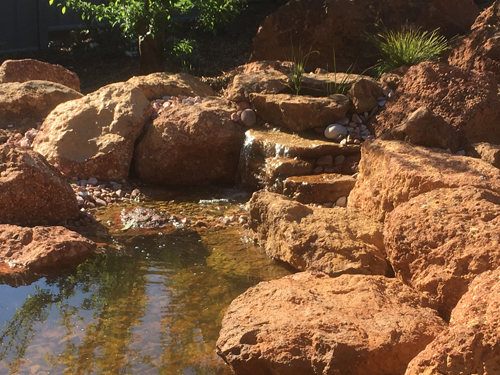 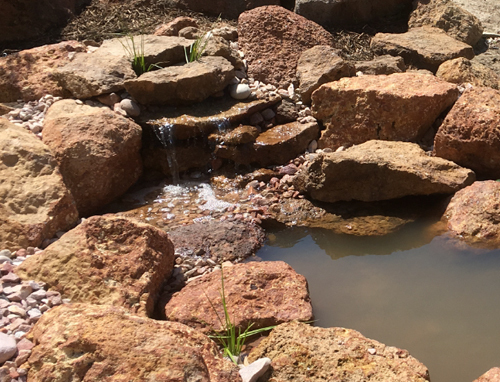 The clients wanted to use a lot of locally occurring rock so the garden was built with a lot of laterite/coffee rocks and boulders which we also used in the ecosystem pond. 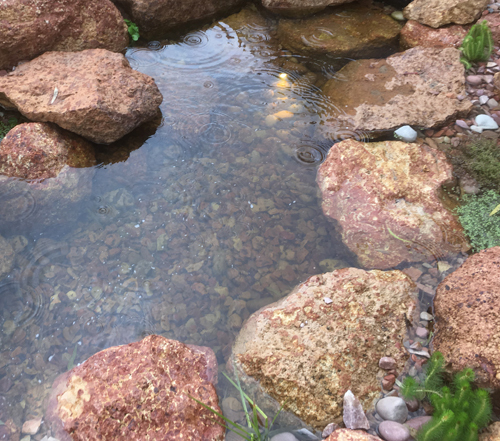 Originally these clients were planning on a standalone spillover urn or bowl water feature to attract birds into the garden, but after further conversation it was decided that an easy care natural filtering pond in their garden would not only attract birds but would also attract local frogs and potentially be a home for small fish and a haven for visiting dragon flies, butterflies and other insects. 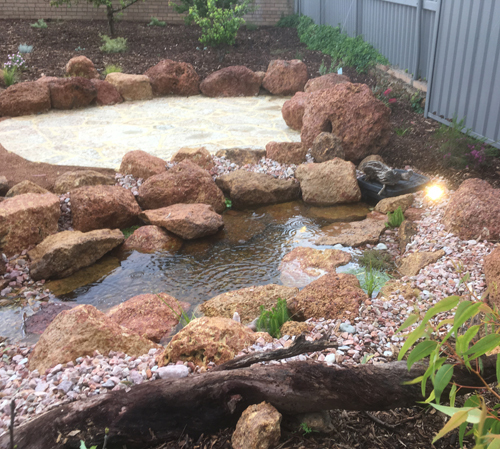 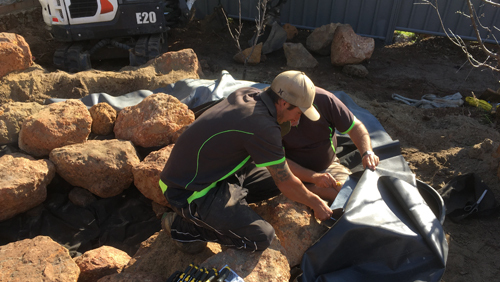 The small Aquascapes Ecosystem pond from Aquascape Supplies Australia was what we recommended and installed.